Less than two months remain for PHP 5.6 to reach its end-of-life (EOL). EOL represents the natural end of the software development and will cease to be supported from that moment. This means that security of that PHP version will be seriously compromised. If your WordPress page runs on PHP 5.6, there will be no support from January 1, 2019 onwards. You should therefore update it to version 7.2. Most hosting providers support it without any issues as it was made available already a year ago. The cycle of each PHP version is divided into several phases. From the launch of new branche, it is fully supported for 2 years and all its issues are regularly fixed. The following year developers provide support for critical issues only. Simply speaking: each PHP version should be optimally used for 3 years. Only during this time the maximum security of your website is guaranteed. Usually, however, several versions are supported in parallel, and therefore regular updating of PHP to a higher version (before reaching its EOL) is the best solution. Why do you have to keep your WordPress PHP up to date? As we have already mentioned, the support termination will affect security the most. Especially when there is a new threat or a security hole discovered – you won’t live to see it getting fixed. In order to avoid potential WordPress security issues, we recommend updating PHP to the latest version of 7.2 as soon as possible. This is mainly because, apart from PHP 5.6, also PHP version 7.0 will reach its EOL soon, so you would have to update it soon too. In addition, the launch of WordPress PHP version will not only guarantee that your website doesn’t get vulnerable, but it will also help to improve your website performance. Does your website feel a little slow? Or does it take too long to load? If your WordPress website runs on the old PHP 5.6 version and you update it to PHP 7.2, it will run faster and more stable. According to some sources, you can expect the speed increase of 20 to 30% compared to the PHP version 7.0, and even up to 250 – 300% compared to the version 5.6 which is at its EOL now. This is a significant shift in performance. It also ensures more efficient use of memory (old PHP version 5.6 consumes much more memory) and optimal performance distribution. This will also get noticed by the website visitors, as smoother page loading contributes to a better user experience. 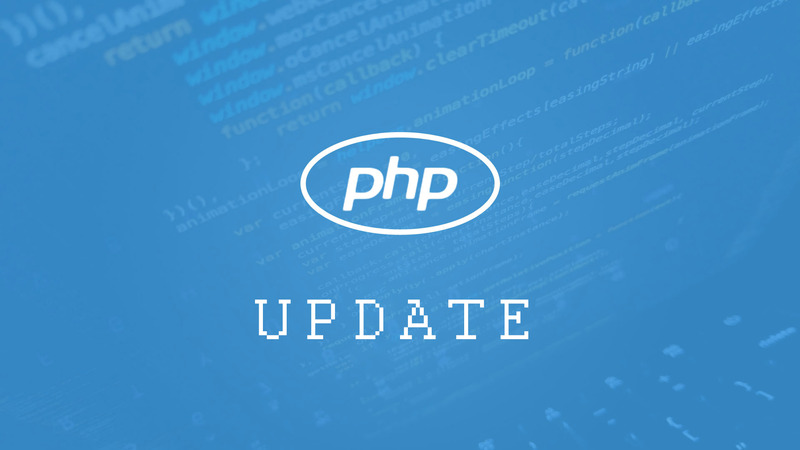 The upgrade of PHP to version 7.2 brings improvements for developers as well, allowing them to write a better code. Due to the end of PHP 5.6 support, we released new updates for our themes on November 29, which address the possible errors and unwanted warnings that could occur due to a straight change from old 5.6 version, directly onto PHP 7.2. PHP deprecated functions, like create_function(), have been all replaced in our WordPress templates by anonymous functions, also known as closures in PHP, which will help to avoid the possible warnings on your WordPress website. So don’t leave your WordPress website vulnerable. Update your WordPress theme right now. 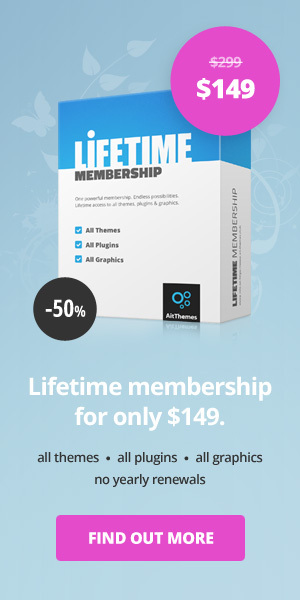 If your membership has already expired, you can simply extend it. If you keep PHP version 5.6 on your WordPress website after the deadline when the security updates stop, you will expose your website to real threat. Your web will be more prone to malicious software and will run much slower, which may cause additional problems and loss of website visitors. 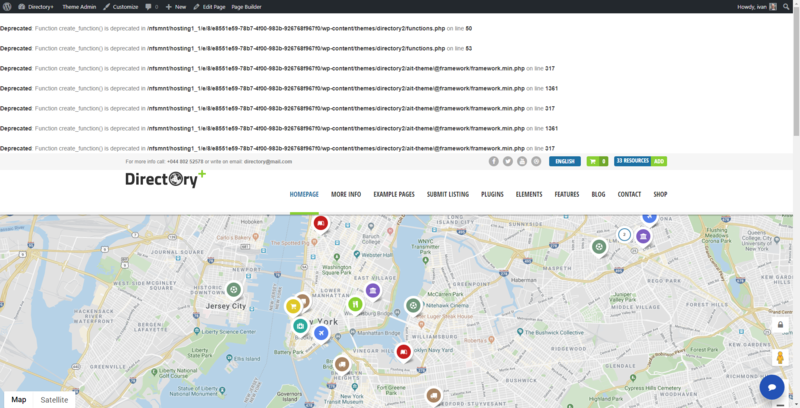 Analogous to if you ignore to regularly update WordPress themes. 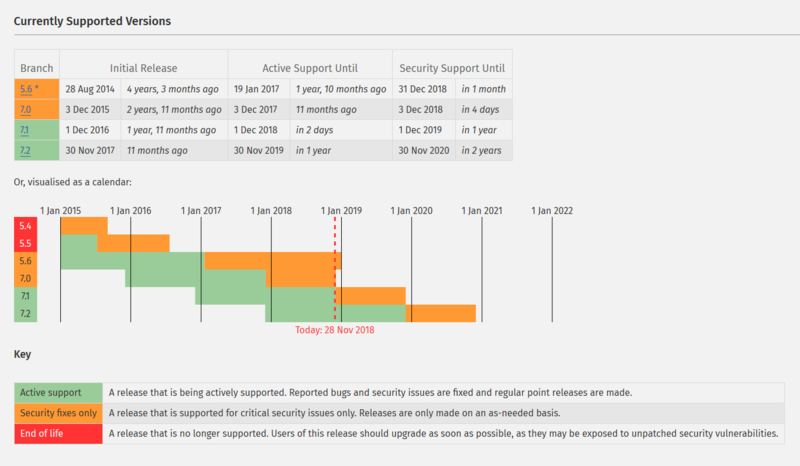 Remember that security support for PHP 5.6 will end on December 31, 2018. The deadline is quickly approaching, so get it updated ASAP. thanks for your compliments. Please stay tuned, we’ll definitely add some news and articles.